When you need your home or office network set up quickly and painlessly, call us today to get your computers connected fast. 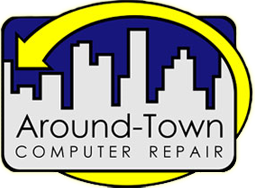 Whether you need a network set up or a repair done, you are guaranteed great service at a reasonable price. Expect no less. Protect your network from intruders. Setting up a network is great for sharing files with other users. But make sure your information is safe from unwanted eyes. Call us today to make sure your network has the proper safeguards in place to protect you. Call 559-589-9100 or visit us at 213 N. Douty Street for service with a smile.